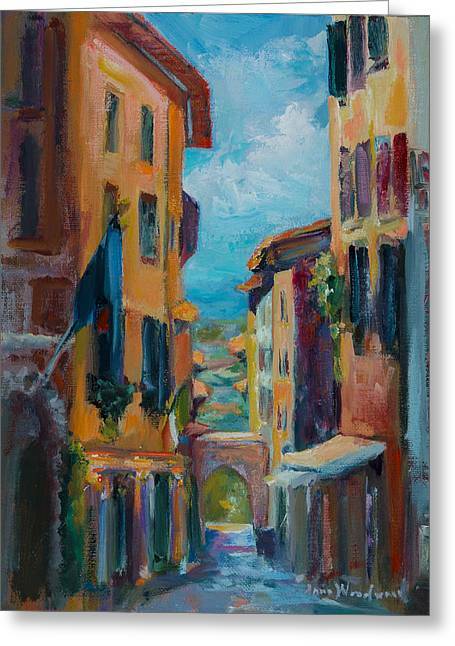 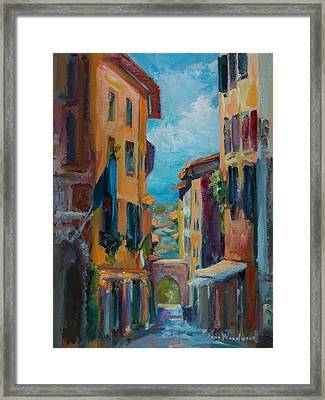 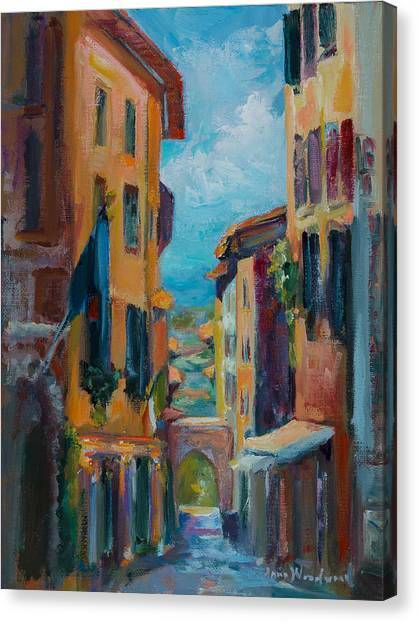 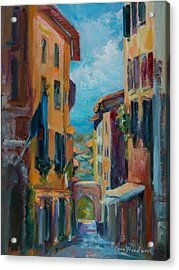 Cortona - Early Morning is a painting by Jane Woodward which was uploaded on June 14th, 2012. Having just experienced the most wonderful painting workshop in Italy, I return excited, inspired and ready to teach and paint, paint, paint! I will be offering a series of teaching DVDs soon, and will provide information as to how to obtain them on this website, but for now, I PRESENT TO YOU the beginnings of my newest work, work that will only continue to increase in value, color and and project life and light! The Italian workshop was entitled "The Colors of Light and Shadow." 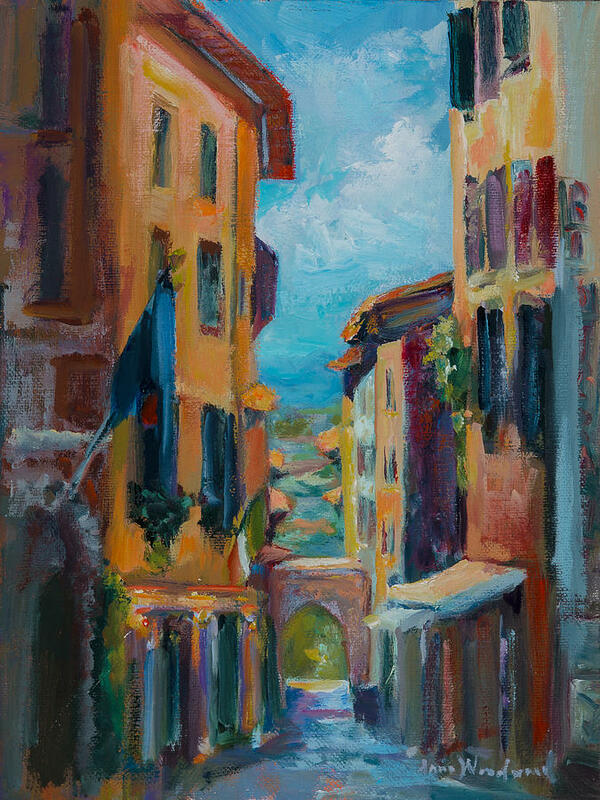 The excitement of COLORS used both in light and shadow and the continued deepening of understanding will show up on my canvases, which I paint for YOU, your pleasure, to enrich your experience of the world as I share my view of it with you.